Check out the qualifications of three amazing candidates for Legislative District 42, Washington State. Visit sethfleetwood.com; votesatpalsidhu.com and votejoymonjure.com for the facts. 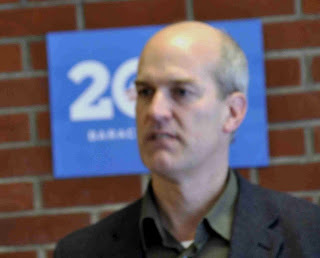 At the February OFA convention in Everett, Congressman Rick Larsen was asked how to communicate with him. Write me directly; I tell my staff to pay more attention to an e-mail from an individual constituent than to one forwarded by 500 people, is the gist of what he said. In a remarkably thoughtful talk, Larsen went on to discuss the importance of the contest for the refigured Congressional District 1 seat as one of three Washington Democrats need to win to take back the House. In what seemed more reality than a prediction, Larsen said the field of Democrat candidates for District 1 – are there now five or six? – needs to be narrowed by the filing deadline of May 18. He recently endorsed Suzan DelBenne.